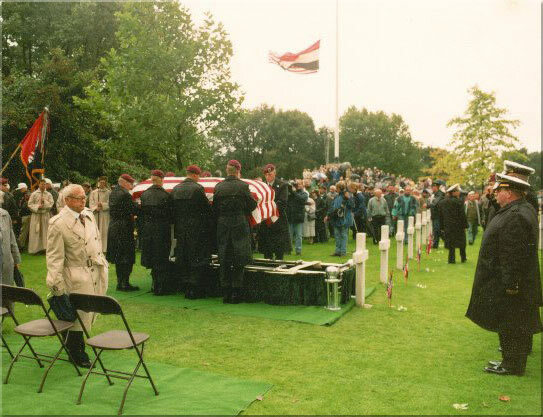 The last interment at the Margraten cemetery, the burial of 2nd Lieutenant Willis A. Utecht, took place on September 19, 1994. 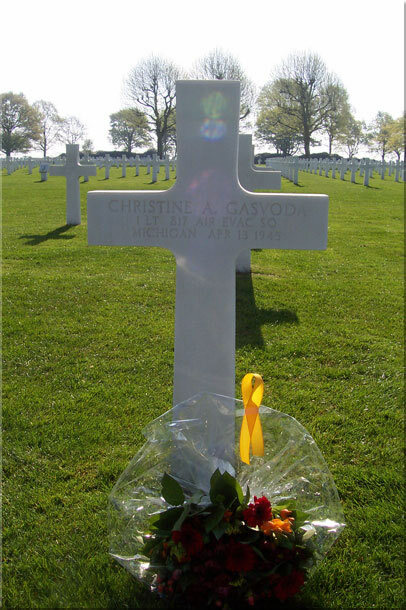 Untill then his name was inscribed at the Tablets of the Missing, but after the recovery of his remains in the vicinity of the Margraten cemetery, and positive identification was made he could be buried next to his comrades in arms. He is buried at the grave location N - 23 - 22. His grave is the only one in this "row". His name at the Tablets of the Missing is now marked with a bronze rosette. 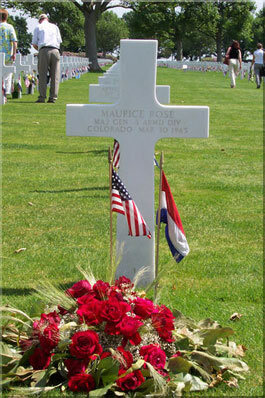 The highest in rank to be buried at the Margraten cemetery is Major-General Maurice Rose ( C - 1 - 1 ). 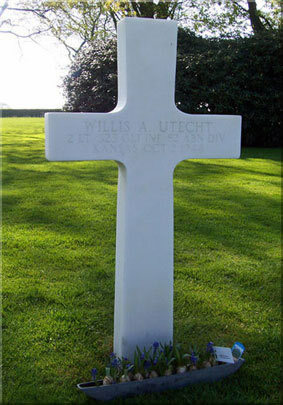 He was the commander of the 3rd Armored Division and was killed at March 30, 1945. He is also the most decorated person buried at the Margraten cemetery. He is decorated with: Distinguished Service Cross, Distinguished Service Medal, Silver Star with 2 Oak Leaf Clusters, Legion of Merit with Oak Leaf Cluster, Bronze Star with Oak Leaf Cluster, Purple Heart with 2 Oak Leaf Clusters, Belgium Croix de Guerre with Palm, French Legion of Honor, French Croix de Guerre with Palm. 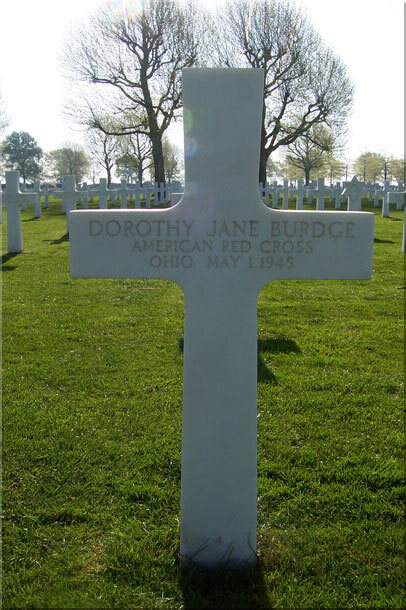 The elementary school in Margraten bears his name, as well as a hospital in Denver and a trooptransportship of the US Navy. 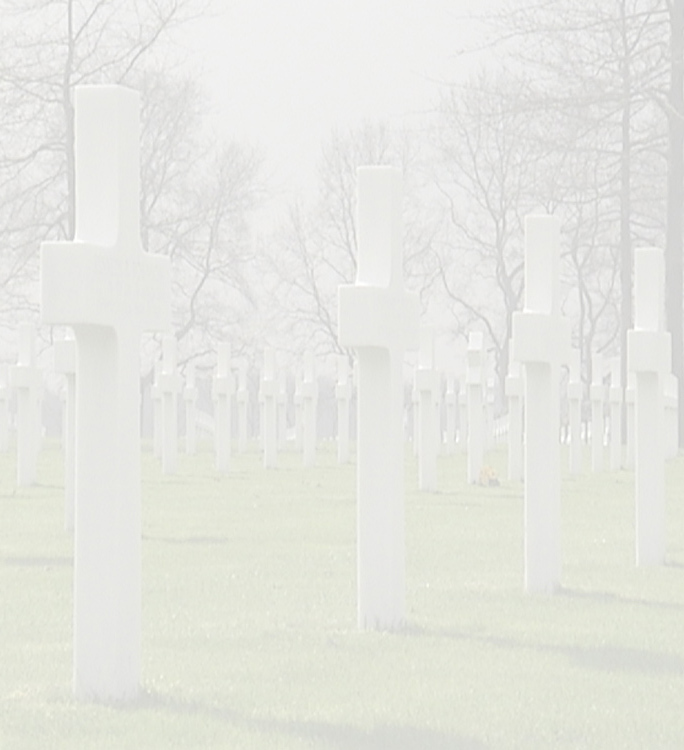 At the American cemetery in Margraten there are 106 unknown soldiers buried. Unknown soldiers are servicemen of whom no positive identification was possible. 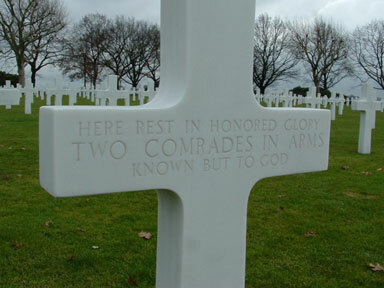 They have a headstone with the inscription: Here rests in honored glory, a comrade in arms, known but to god. 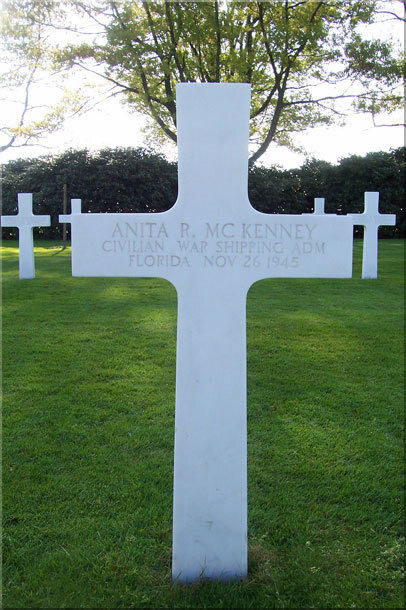 One headstone marks the common grave of two unknown soldiers. ( O - 5 - 9 ) These two were probably killed in a tankbattle and the intense heat of the burning tank melted the remains together. It was ethically not considered to be appropriate to seperate the remains, thus they were buried together in one grave. Perhaps their names can be found at the Tablets of the Missing. 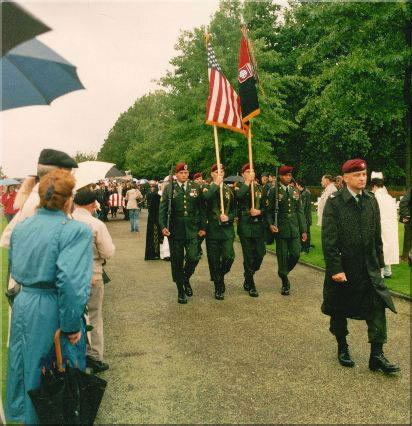 It was not uncommon for brothers to participate in the war. Brothers who got killed were on more then one occassion buried side by side. In Margraten this has happened in about 40 instances. It also happens that brothers weren't buried next to each other, but in the vicinity of each other, e.i. in the next row. 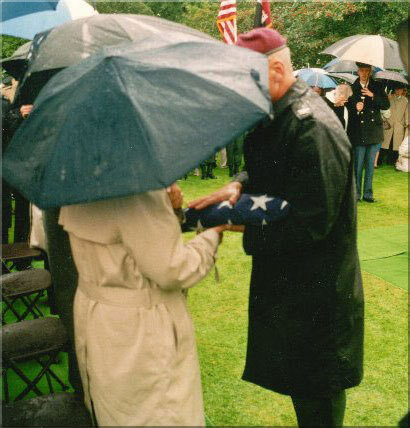 Sometimes it happened that two soldiers were friends and that they were buried side by side for this reason. 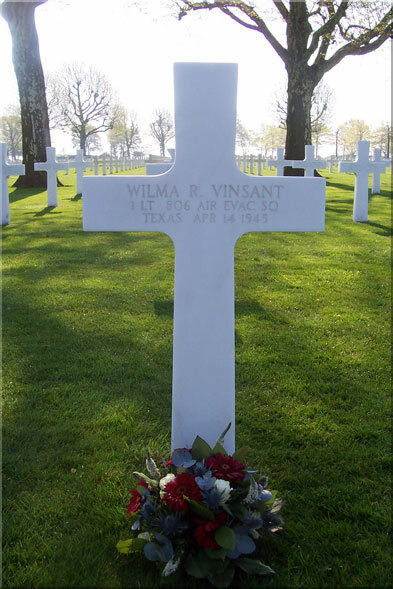 With over 8300 graves it happens that soldiers with the same surnames are buried in a cemetery. It is not clear who is related to each other.